….. And many more rewards for mental and spiritual health. 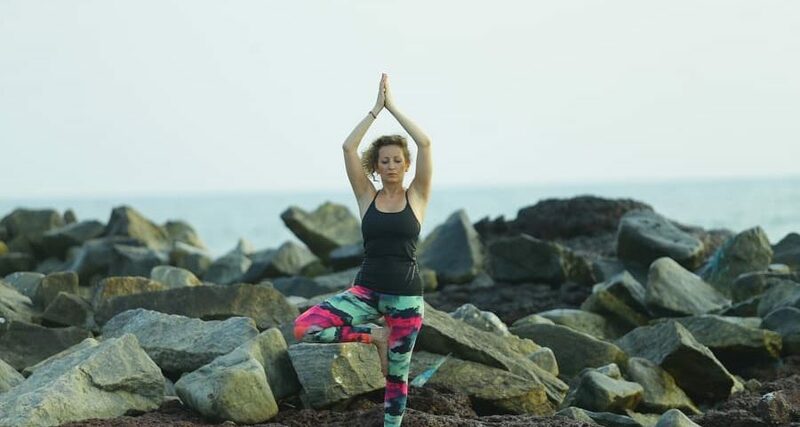 In the yogic lore, there are one person yoga poses suitable for every level of yoga practitioner. These yoga asanas are subtle in nature yet highly effective. Follow the instructions and benefits of easy yoga poses for one person. Benefit: It is one of the most recognized and practiced yoga posture for its health rewards. It stretches and energizes the entire body. Steps: Come on your hands and knees. Align your knees under the hips and wrists under the shoulders. Stretch your shoulders so that the arms become straight and spread the fingers of the palms. Let your both hands carry the weight equally. Curl the toes inward, lift the knees up and stretch one leg at a time backward. Bring your body into an inverted ‘V’ position with the head between your upper arms. Tips: Maintain the length of the spine. If you are unable to touch your heels on the ground, place each one of them on a yoga block. Steps: Lie in prone position on the floor. Bend the elbows and rest them by the sides of your body. Press the palms into the floor and uplift the head and chest off the floor. Practice this movement with inhalation. Rest the navel on the ground. Draw the shoulders away and tilt the head slightly backward for a mild backbend. Tips: Keep the legs on the floor and actively press them into the ground, so that you can lift the chest higher. Do not go deep into the backbend and breathe in the posture. Benefit: As the pose is considered a mild inversion, it offers all the benefits of an inversion: a decrease in stress, fatigue, headache, insomnia, etc. Steps: Begin in the supine position. Fold the knees. Keep the feet flat on the mat with heels near to your hips. Arms will rest by your side, palms down. Roll the shoulders down. Lift the tailbone up higher and let the shoulders and head rest on the floor. As you retain this body stance, stretch the arms and interlock the fingers of the hand under the lower back. Tips: In the pose, keep the head in a neutral position. Do not push your body deeper into the pose against your body limitations. Benefit: The one person yoga poses of Baddha Konasana soothes menstrual cramps, increases blood circulation and stretches the lower body. Steps: Sit on the yoga mat in an upright stance. Legs stretched out and hands on the ground, palms down. Bend the knees and bring the heels in contact with the pelvic bones. Soles of the feet should touch together. Let the knees open at the sides. Clasp the feet with both hands, firmly. Look straight in front of you and take deep breaths. Tips: Maintain the length of the spine throughout the pose. Avoid any forceful movements in the pose. And, do not flutter your knees like the wings of a butterfly. Benefits: It builds strength in the ankles and calves; tones the abdominal muscles. It is therapeutic for sciatica. Steps: Begin in Tadasana (Mountain Pose). Shift your weight into your left leg. Slowly, raise the right foot up and bend the knee. Using your hands place the right foot on the inner side of the left thigh. Balance on your left leg. Once comfortable either fold your hands in front of the heart or raise them up, parallel to the ground and palms facing in a front direction. Tips: Take your time to achieve your balance in the pose. Keep the raised foot either above or below the knee, and not directly on the knee. With these 5 yoga poses for one, get inspired to practice the science of yoga. Bring health and vitality into your life with these asanas. 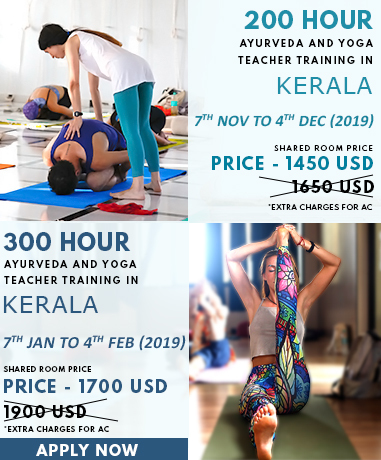 To know more about these yoga poses in further detail, explore our Yoga Teacher Training In India.